When my husband and I started fostering 3 years ago, I was 23 and he was 27. We were so excited to have a cute toddler or baby come stay with us for an extended period of time. During our licensing process, we bought car seats and cribs and onesies and strollers- the list goes on and on. Throughout the last 3 years, we have fostered a fair amount of babies and toddlers. And it has been wonderful. 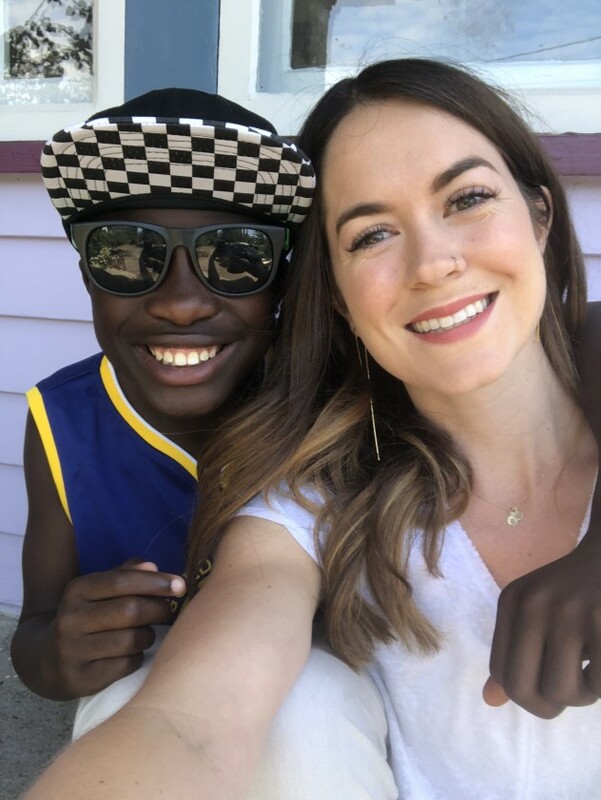 But last week, at 26 years old, I had the privilege of adopting my 13 year old son. This was not in our plan. There is only a 13 year age difference between us. We had no experience with teenagers. How would we know what to do? The thing is we don’t. But it really doesn’t matter. Every day we’re trying our best. And to say our son is amazing is the worlds biggest understatement. He is the most incredible person I’ve ever met in my life. Everywhere we go he makes friends and spreads love and empathy. He is easy going, funny, and just the biggest joy to be around. He works so hard in school, kills it on his dance team, and dreams of being a social worker when he grows up. I can’t imagine a life without him. He falls effortlessly into place in our family. Attachment came so naturally between us and he has proven every stereotype about teen adoption untrue. I know that this isn’t always the case, but I feel like it’s so important to share these success stories. He’s lived with us for two years now, and I’m amazed at all he’s accomplished and how far he’s come. He has made it his goal to catch up in school, spending extra time every day doing extra reading and math. He’s been on the school basketball team, he’s crushed black diamonds snowboarding, he’s started learning how to play the drums, and he shows us so much love and grace every day. My husband and I are trying to figure out this parenting thing, but honestly, it hasn’t been that hard with him. He makes it easy. If someone told me a few years back, I would be adopting a teenager- I would have thought they were crazy. Now I can’t imagine a life without him. If you’re considering adoption, please don’t write off teens. They’re a population who desperately needs awesome parents to step up and give them a chance. Our son had so much untapped potential that poured out of him once he was given a place to grow. Watching him blossom over the last two years has been the most amazing period of my life. Adopting teens isn’t always easy, but it is so, so worth it.